Ever since I came across Spruce Upholstery in Austin, TX after photographing Meredith Carmichael’s Style Story, I’ve been a fan. 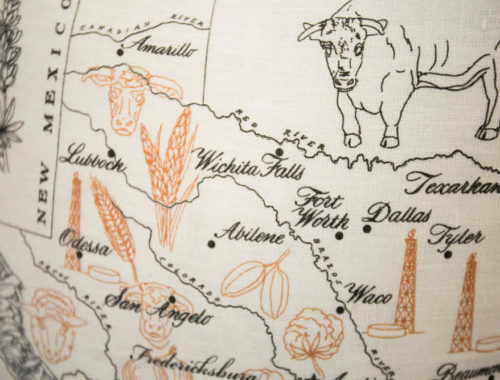 The part upholstery shop, part furniture showroom, part workshop venue has taken the art and craft of upholstery to a new and exciting level in the 21st century and I’m thrilled to announce that, while you may not live in Austin, you can still join in the fun that is a Spruce project! Amanda Brown, Spruce’s founder and owner, recently launched a book dedicated to the ins and outs of working through an upholstery project of your own. I’m no DIY expert, but if you’re going to try your hand at upholstery work from home, you need Amanda’s book. It’s thorough, extensive, and not for the weak of heart. 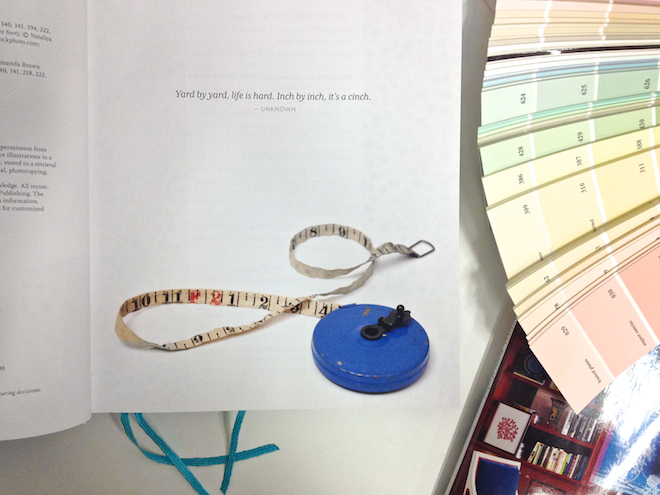 I’ve been pouring through the pages myself in an attempt to work up my own DIY chair makeover. More on that to come later. 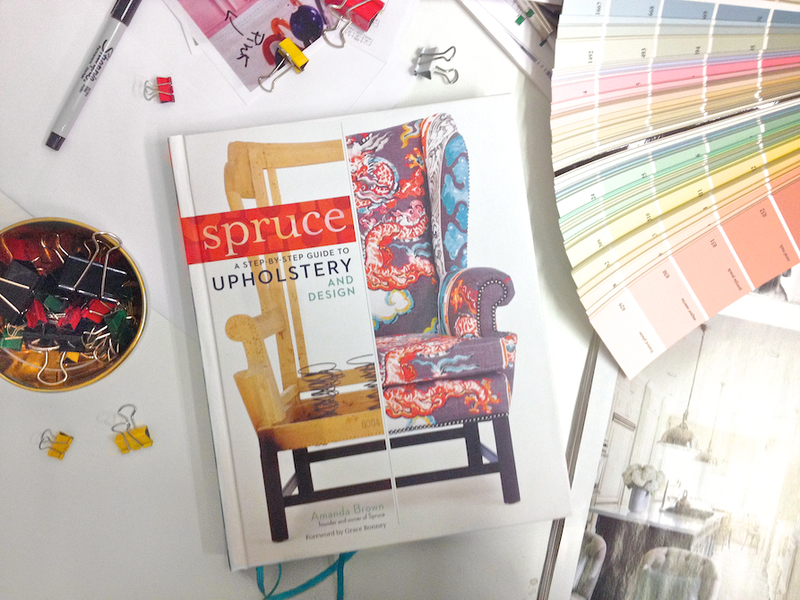 In the meantime, leave a comment in this post telling me what you would reupholster if you had Amanda’s book and you may be the lucky winner of a new Spruce book! 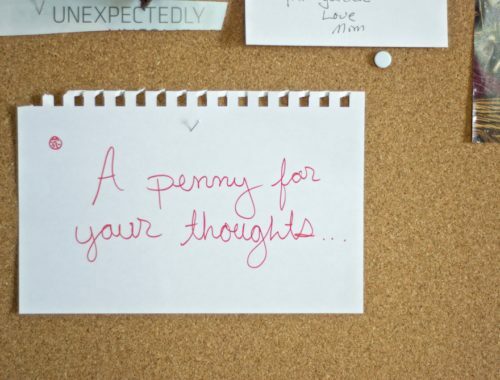 You have until this Sunday, November 17th, to leave your comment. I’ll be announcing the winner along with my chair reveal first thing on Monday morning. Don’t miss it! You may also be interested in catching Amanda and her team on their cross-country book tour! Find details about their travel plan and workshop schedule HERE. 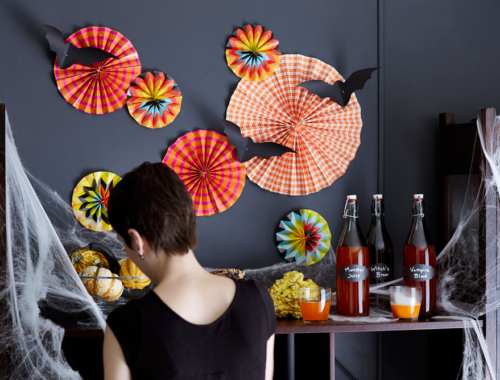 In addition, the Spruce team in running a contest all of their own. It’s called the Ugliest Chair Contest. More info HERE. And a quick shout out to some of the other lovely bloggers who have been spreading the word about Spruce’s book launch and tour. Check them out when you get a chance! And finally, we’ll end with this quote from the book. Is this not the greatest? I just love this mentality. What a great opportunity, thanks! I would upholster two wing back chairs, the form is good but the fabric, UGH. I’d love to upholster a footstool. I have these two fabulous mid century chairs which have damaged vinyl fabric, great bones but i have never attempted anything like this so the Spruce Book is needed asap! I am sooo glad this book was created! Reupholstering classes are nonexistent in my area. I would reupholster the 1950’s channel back chair I bought on Craigslist for my daughter’s nursery. It has been stinking up the garage so I know it will need a total overhaul. So exciting. A wingback chair that has been lovingly “broken-in” by our Jack Russell. It needs sprucing up! I would likely find a new chair to make over for my house! I love DIY chairs. An old chair and ottoman that are a bit…out dated! What wouldn’t I reupholster is the real question! Watch garage sale settees, left behind dining chairs, dumpster dive furnishings, and forgotten & disheveled ottomans I will find you and make you FAB-U-LOUSSSS again! This book could really come in handy as far as knocking stuff off my “to do” list (that the boyfriend says I’ll never get too). Would love to prove him wrong! Thanks for the giveaway. Hilary – What a wonderful book! Looks like a wealth of info. Thanks for the great giveaway! I would recover my grandpa’s Laz boy chair. It’s a horrid floral pattern, but the most comfortable thing in the world! I would reupholster my favorite blue chair — I bought it for $5 at an auction while I was in high school, and my mother’s cat got a hold of it while I was away at college. But despite deplorable claw marks, it’s definitely the most comfortable thing I’ve ever sat in! I would reupholster my Great Grandmother’s two wing back chairs. They’ve lasted forever but they’ve grown worn out and the fabric is toast. Time for an update! The chair in our music room…..my favorite. I’d love to reupholster the ottoman at the end of our bed! Thanks for the chance! Misty, if you do get a copy of Spruce, will you write a review of it on Amazon? 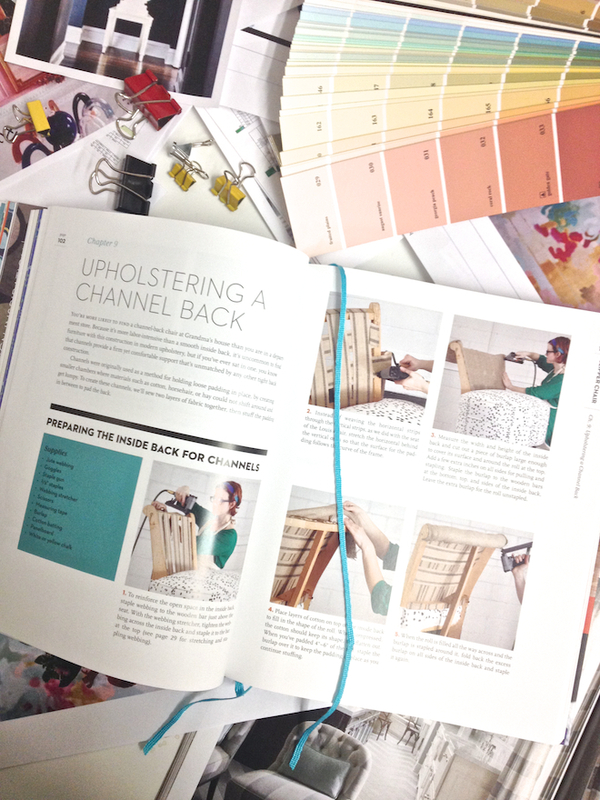 http://ourstylestories.com/2013/11/13/spruce-book-tour-chair-makeover/ Hillary, thanks for blogging about us! I just looked at this book the other day because I need to reupholster my (gasp) mid-century sofa! I bought it second hand knowing that it would need to be reupholstered and I’ve recently decided I should tackle it myself. I remember you mentioning Spruce but when I saw the book I didn’t put two and two together…I will definitely get my hands on this book even if I don’t win it :). I would fix up a chair that has been a favorite of mine for a while but has become our dogs favorite place to nap and get grungy! Thanks! I went to Storey publishing and entered to win!